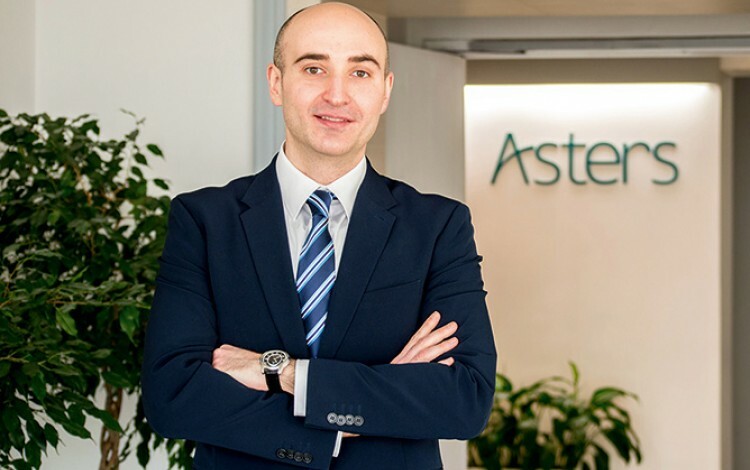 About the author: Gabriel Aslanian (gabriel.aslanian@asterslaw.com) is a counsel at Asters law firm with a focus on Banking & Finance practice. The idea behind Ukraine’s new financial restructuring legislation was to implement the best global regulatory and taxation practices used to revive the banking business. A growing number of the restructuring success stories based on the new law are helping to demonstrate the viability of the relevant procedures. Late 2017 saw the completion of a high-scale restructuring project in accordance with the Law of Ukraine “On Financial Restructuring”. The overall timeline of the project from late 2016 when the law came into force was subject to several months of delays as the project team awaited the creation of the formal restructuring bodies and their development of the new law’s implementation rules. As the completed project was the first large debt restructuring under the new law involving a state-owned bank, it is possible to draw conclusions based on the experience gained and the general context in which the new law is applied. The main conclusion, undoubtedly, comes from the fact that adoption of the new law has greenlighted long-term debt restructuring for state-owned banks. This conclusion is backed by the provisions of the new law expressly providing for various debt restructuring mechanisms (including, among others, a decrease in interest rates, transfer of assets to the creditor on account of full or partial recovery of indebtedness, etc.). This approach by the legislator makes it safe for the management of the state-owned bank to use any of the restructuring mechanisms prescribed by the law and secures flexibility in developing the future relationship between the bank and the debtor. In fact, the bank management is protected from any future prosecution for following the direct prescriptions of the law. Another notable matter to factor in while planning debt restructuring within the framework of the new law is the actual timeline of the relevant procedure and subsequent steps needed to implement the newly agreed structure. The statutory term for completing the procedure under the new law is 90 days upon commencement. This term may seem sufficient at first sight. However, note should be taken that the procedure under the new law is rather strict for contemplating quite formalistic and lengthy steps. This includes appointment of an independent expert to assess the viability of the debtor and any related group’s business model. This can only take place at the first meeting of creditors, while there is no way to expedite the convocation and convening the creditors’ meeting even if there is only one creditor involved. It also covers completion by an expert of a comprehensive financial and legal due diligence check of the debtor and related business group’s business, along with an appraisal of their assets with subsequent development and presentation of a long-term business model for the debtor. The overall negotiation of this business model with the creditor, along with its adjustment or modification based on the creditor’s feedback, and subsequent conversion into a legal document called a “restructuring plan” supplemented with an impressive set of agreements needed to implement the agreed structure makes the mentioned 90-day term extremely demanding. Finally, the 10-day term prescribed by the law for harmonizing existing agreements of the debt restructuring parties with the parameters set forth in the restructuring plan may also require significant efforts. It is important to recognize that hundreds of different agreements may have accumulated over a lengthy period of cooperation between the creditor and the debtor. In most cases, such agreements will be subject to amendment in line with the restructuring plan. Given that no agreements are signed without prior due diligence as well as obtaining all authorizations, statements and confirmations, this part of the work should be properly planned and organized during the earlier restructuring stages. Quite predictably, the homework preceding signing the full set of documents for a restructuring project should be done in parallel with drafting and negotiation of the restructuring plan. In case any of the parties have doubts about their ability to meet the minimum statutory restructuring term, the new law allows them to extend it to 180 days. However, it appears that in most cases even an extended term may be insufficient to have more than one creditor involved in a restructuring procedure. Initially, the drafters’ and legislators’ idea standing behind passing the new financial restructuring legislation was to implement in Ukraine the best regulatory and taxation practices used to revive the banking business in some other countries of the region. Although the new law was not considered a regulatory breakthrough by the market when it was passed, it has definitely superseded initially pessimistic market expectations. There are some practical matters to be considered while choosing whether to implement the debt restructuring regulations in accordance with the new model. However, the growing number of restructuring success stories based on the new law are proving the viability of the relevant procedure. Besides, demand for debt restructuring remains huge in Ukraine, which means a promising future and a sizeable market share for the new law.